Very pretty, Rita! I love that flower die. Hang in there with the nap schedule. I remember all three of mine would go through phases where I'd think they were about to give up on naps, but then they'd get back on schedule all of a sudden. Keep telling yourself it's just a phase! I LOVE how you used the embossing folder in both directions - more possibilities! Thanks for joining us in the sketch challenge this week at Create with Connie and Mary! What a great idea to use the embossing folder in both directions! It gives a totally new look! Love your use of the Gingham Garden dsp too! Thanks for joining us for the sketch challenge this week at Create with Connie and Mary! 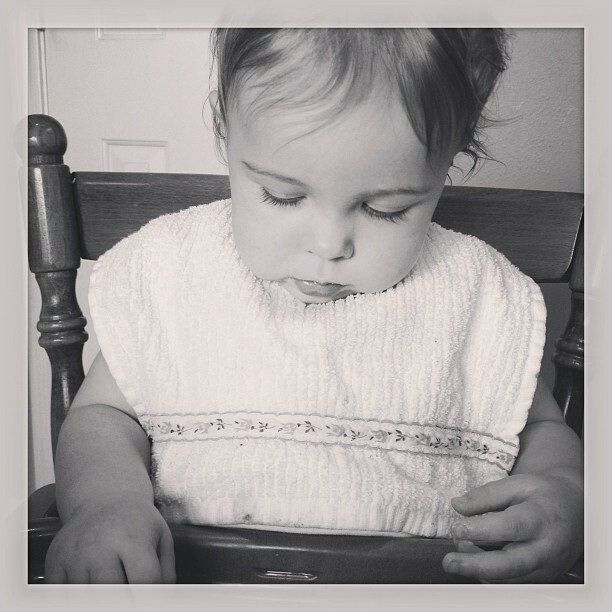 Oh wow...she is getting SO big! What a cutie! I love the texture and the Gingham Garden flower, too! Thanks for playing along with the sketch challenge this week on Create with Connie and Mary! Your card is just lovely! So bright and cheerful! I love it! Thanks for playing the challenge at Create with Connie and Mary! Definitely hang in there with the naps! Sometimes little ones "think" they don't want one, but they really do need them. I think we moms need their nap too as a break for us! As usual, lovely cards! Thanks for sharing such great ideas. I loved the fall grateful one from the other day. 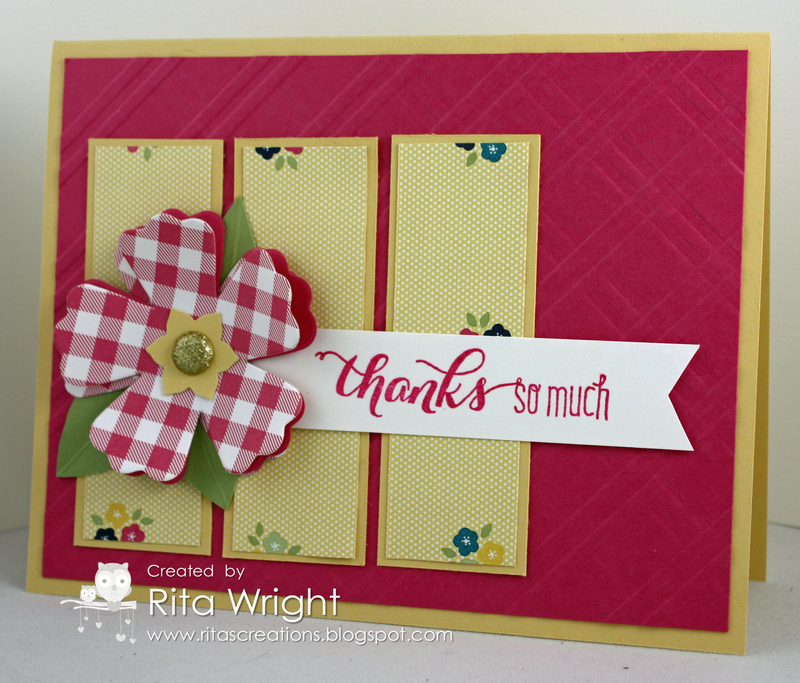 WOW...I just love your pretty red gingham flower on the yellow and the embossing folder in two directions! Thanks for playing along this week in the Create with Connie and Mary Thursday Challenge! Gorgeous card! Beautiful background and flower! I totally understand how you feel about limited nap times, every time I think mine are down long enough to do something...they always wake up! So glad you joined us for the sketch challenge this week at Create with Connie and Mary!